The objective of this program is to help you be your best self, more of the time. To be our best selves we have to figure out who we are and what we believe our best selves to be. We do this by creating a safe space where authentic friendships can be formed and then dig into who you are, what makes you tick, and what makes you unique. We learn as much about ourselves from ourselves as we do from the friends we make. Being a part of this program means embracing new ideas, experiences, and challenges. It means pushing yourself outside your comfort zone and building honest connection with people you never would have believed could be your best friends. This two week program is focuses on acceptance, compassion, self-discovery, and authentic relationships. It will include intentional discussions, self reflection activities, team building games, late night dance parties, re-framing success and failure, and so much more. At Stomping Ground we do things differently. We develop a community where kids are trusted, practice radical empathy, and reimagine a world where more is possible. None of this is possible without incredible staff that work hard to break the conventional paradigm for working with kids. It isn’t easy to lead activities, help the little guys brush their teeth, and work through conflict in authentic and empathetic ways while keeping everyone safe and not seeming like a jerk. This two week session is designed to help you gain skills and perspectives to help transition from a participant to a facilitator. The skills you will learn in this program can help you someday become a staff member at Stomping Ground, but more than that we hope they can help you be a great facilitator when working with kids in any setting. This program focuses on four major characteristics of facilitating a partner with environment, compassion, commitment, connection, and creativity. 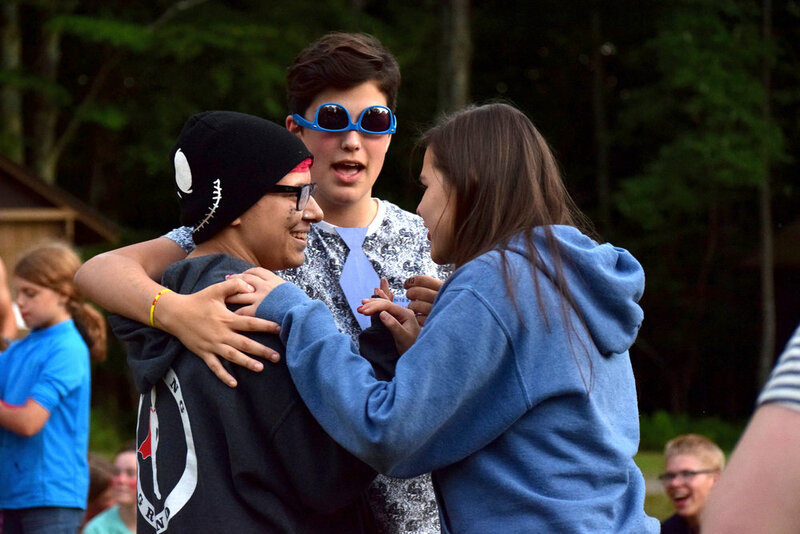 During your two weeks at camp you will have a chance to practice these skills through workshops, leading real activities, debriefing sessions, late night campfires, playing with kids, going on adventures with your Fellowship, and so much more.